Welcome to the Baltimore Food Chronicle! 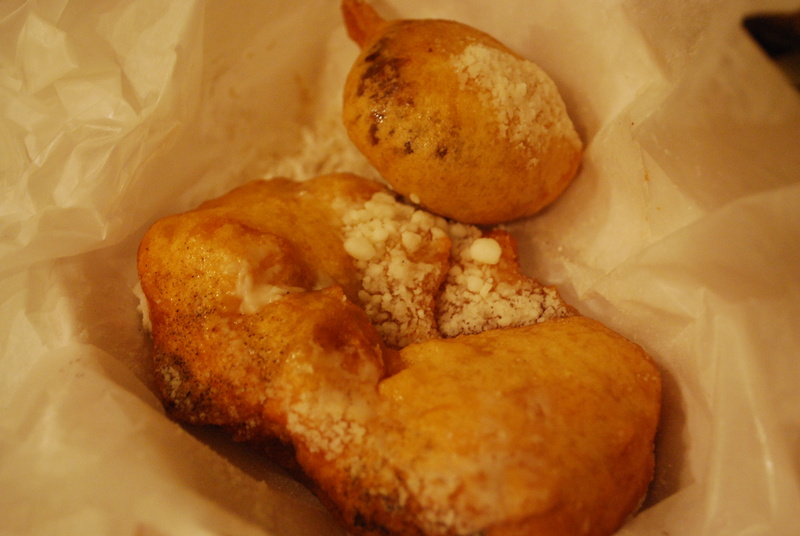 This blog was started to document my culinary adventures in and around Baltimore. My name is Joe Marana and I was born and raised in Maryland. About 10 years ago my wife and I moved to Southern California, and it was there that I discovered two things. First, I truly loved the diversity of foods that I found out there. But second, I came to a realization that Baltimore has it’s own unique cuisine that cannot be found anywhere else. I suddenly had cravings for shrimp salad sandwiches, crab cakes, Berger Cookies and chocolate tops. As the phenomenon of food exploration and “foodies” exploded, I both expanded my palate in Los Angeles with fusion food trucks and ate vicariously through shows like “Diners, Drive-Ins and Dives” and “Man vs. Food“. It was an episode of “Diners, Drive-Ins and Dives” however that stunned me by presenting to their viewers our local Baltimore tradition of Pit Beef. Flabbergasted, I exclaimed to my wife “Pit Beef is only in Baltimore?!?”. Her response confirmed my fear. “What is Pit Beef?”, she asked. 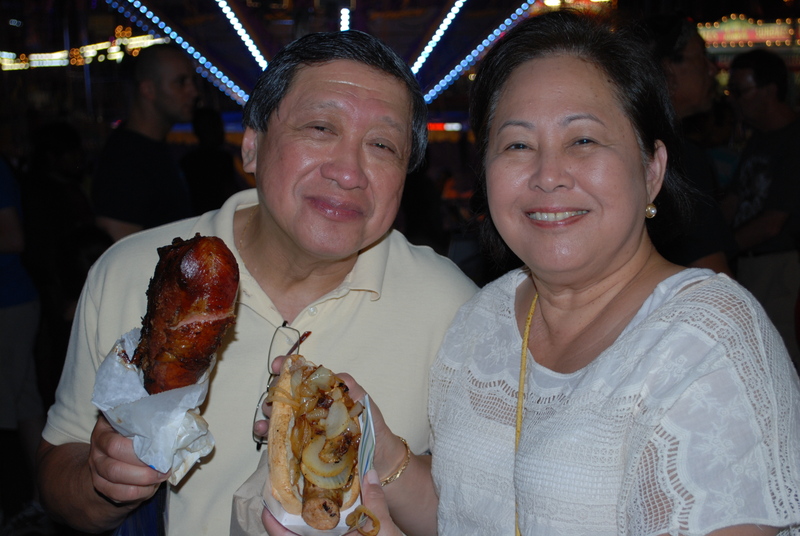 Since moving back home (literally), I have returned to savor and relish our own hometown favorites with renewed enthusiasm. Already I have mentally compiled my destinations, and made the journey to some. This is not a review blog per se, but rather a journal or diary of the amazing and often unknown or under appreciated foods that so many of us grew up with. This is an “engram” if you will, a pocket of memory for me to record and remember my childhood, now relived. 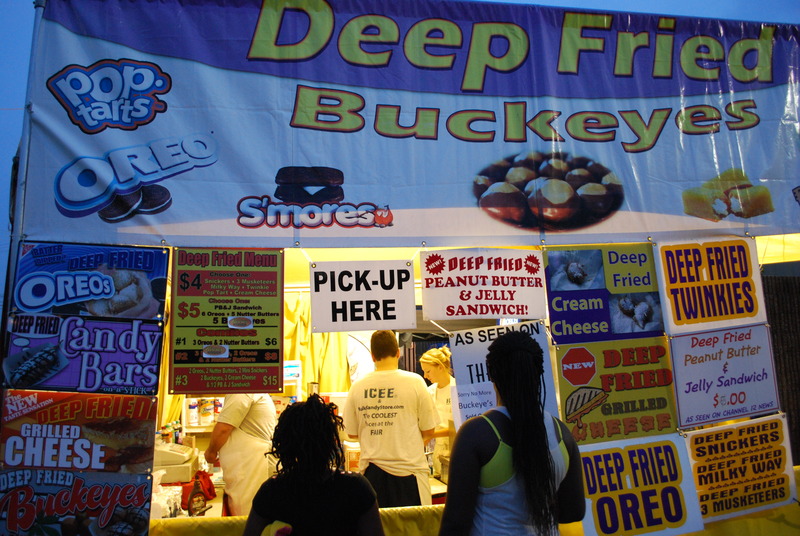 It is only fitting then that my first post will be about the Maryland State Fair. 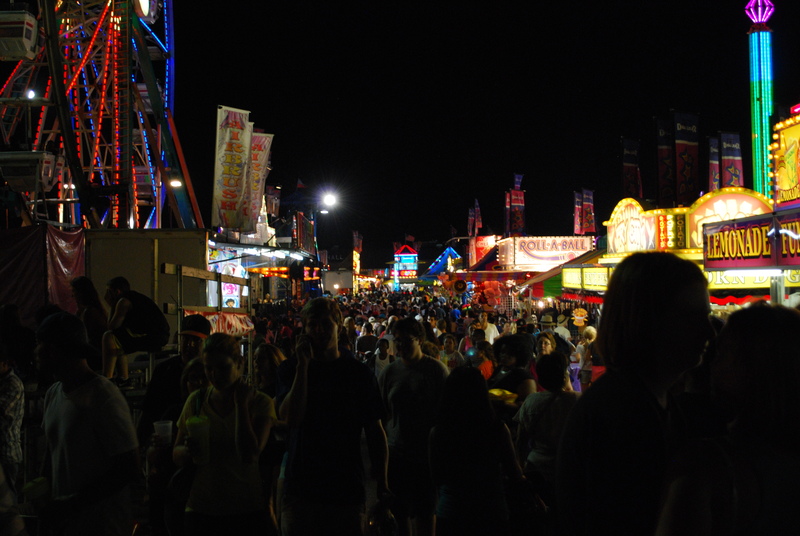 Every summer, my Nana and Papa would take me and my brothers to The Fair. 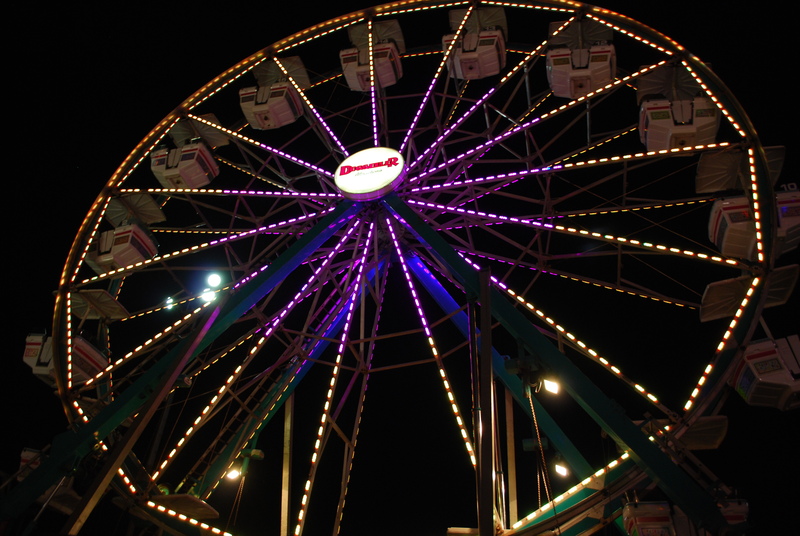 We would ride the Ferris Wheel, eat Lemon Peppermint Sticks, watch the horse races and have a great time. I miss those times a lot, but I miss my grandparents even more. This year we had the chance to take our own kids for the first time, and although some things have changed it’s still The Fair that I grew to love. 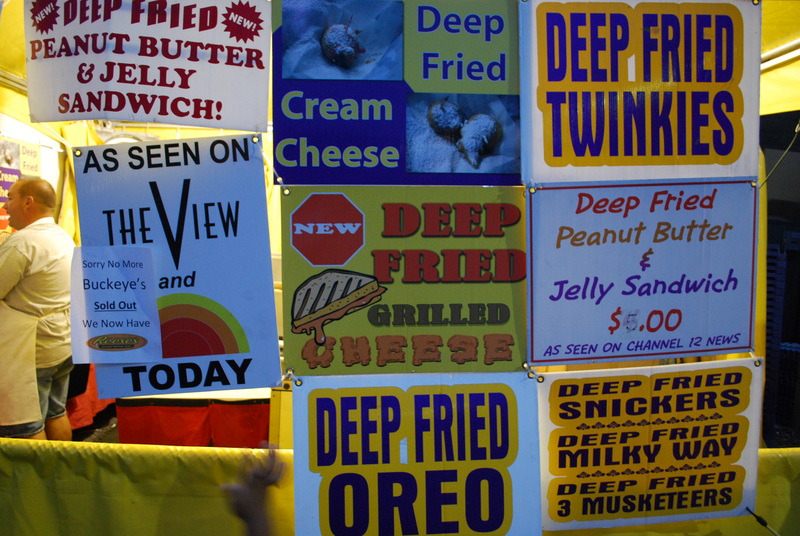 This year I got to try deep fried Reese’s Peanut Butter Cups and a deep fried Peanut Butter & Jelly Sandwich for the first time. 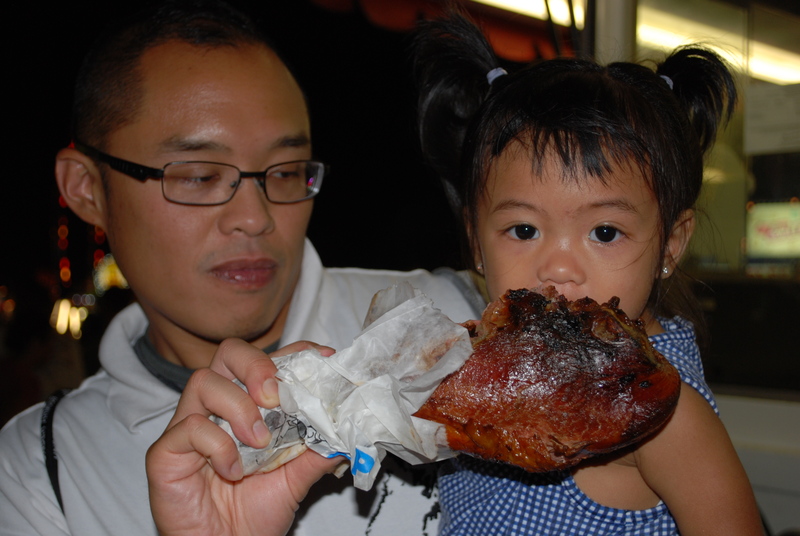 favorite, the giant turkey leg!